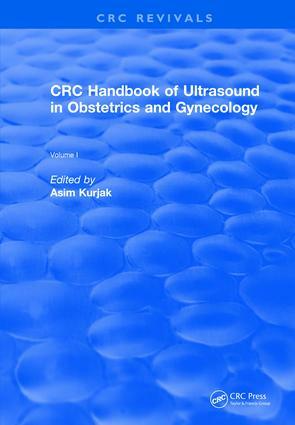 This practical, two-volume handbook is the first to illustrate the use of transvaginal color doppler in obstetrics and gynecology. It provides a critical look at state-of-the-art ultrasound techniques and equipment and serves as a comprehensive reference with numerous black/white and color ultrasonograms, tables and graphs. The volumes include extensive literature citations which assist the investigator in finding more in-depth references. This work focuses on the recent remarkable expansion in both diagnostic techniques and clinical applications. It reports findings based on an unusually large patient population over a long period of time. It presents the accuracy and limitations of various aspects of ultrasound. This important publication is especially helpful for clinicians and researchers. 1.Basic Principles of Ultrasonic Images 2. Current Opinion on the Safety of Diagnostic Ultrasound 3. Ultrasound in the First Trimester 4. Gestational Age Estimation 5. Ultrasound in Detection of Growth Retarded Fetuses 6. Placenta, Umbilical Cord and Amniotic Membranes 7. Normal Fetal Anatomy 8. Ultrasound in Detection of Fetal Malformations Index.